Dr. Irina M Kogan, MD is a Doctor primarily located in Needham Heights, MA. She has 32 years of experience. Her specialties include Family Medicine. She speaks English. Dr. Kogan has received 1 award. The overall average patient rating of Dr. Irina M Kogan is Great. Dr. Irina M Kogan has been rated by 30 patients. From those 30 patients 5 of those left a comment along with their rating. The overall rating for Dr. Irina M Kogan is 4.0 of 5.0 stars. She is the very best primary care doctor I have ever had. When she left the practice where I first met her, I followed her to her new practice because she is the very best primary care doctor I have ever had. Dr. Kogan explains things well without disparaging me at all, even though she has more knowledge about things than I do. Her "bedside manner" is top notch and the best I have ever come across for a primary care doctor. Very happy with Irina Kogan, my family have been with her for a few years - she is very professional and great dealing with my child, can usually squeeze in an appointment if it's something urgent, definitely knows what she is doing. I am so happy that she was my doctor! She is an amazing lady. She is fast paced, which I like, but takes the time to answer questions, makes sure that I am taken care of. I've never met a better doctor that has made me feel like I am their most important patient. I had to move to California for a while but I will hope to get a doctor half as good as Kogan. 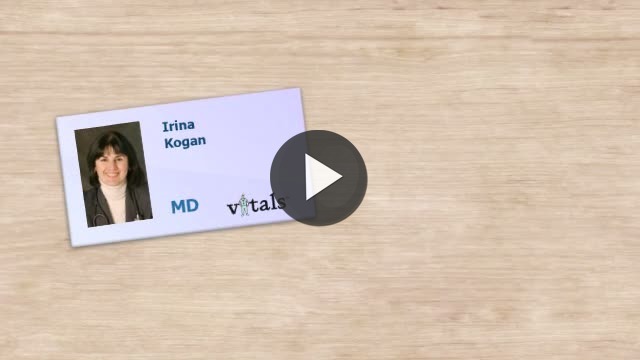 Take a minute to learn about Dr. Irina M Kogan, MD - Family Medicine in Needham Heights, MA, in this video. Dr. Irina M Kogan is similar to the following 4 Doctors near Needham Heights, MA. Have you had a recent visit with Dr. Irina M Kogan? Select a star to let us know how it was.